Oh snap! 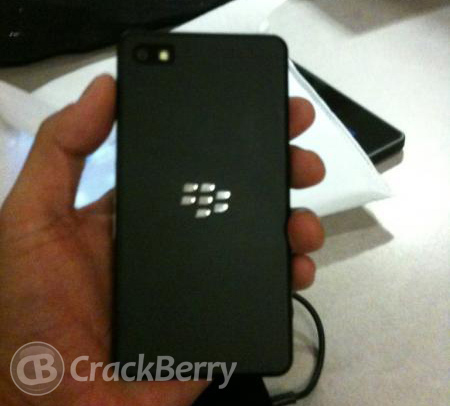 Look what just popped up in the CrackBerry forums! 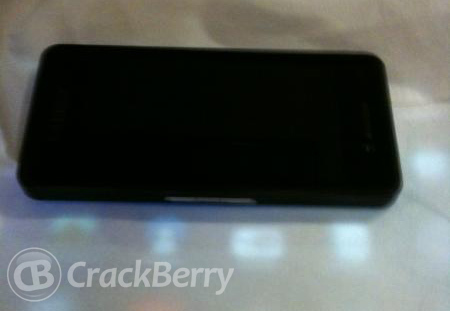 Posted in the forums by CrackBerry member TRIPPIN, the device in the photos above and below are of an early BlackBerry 10 development device. No, this phone won't be going on sale ever. The question is, is this the BlackBerry Developer Alpha that will be given to developers next week at BlackBerry Jam 2012 in Orlando? With BlackBerry Jam and BlackBerry World just days away, we'll find out soon. I'm not honestly not quite sure. Prior to BlackBerry 10 and even BBX, we heard the very first RIM internal development phones looked like min-PlayBooks, which is exactly what this phone looks like. 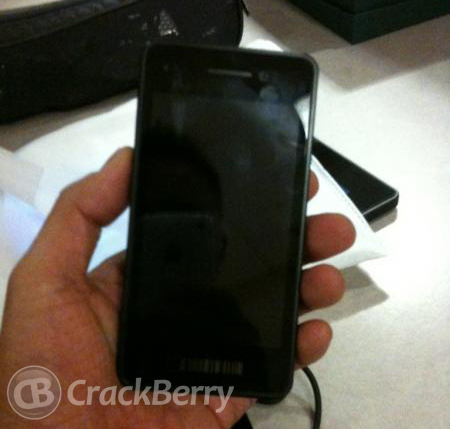 We've also heard that the BlackBerry Dev Alpha is essentially the original "BlackBerry Colt" phone. But we never really saw good photos of Colt, so whether this is Colt or an even earlier dev prototype phone we'll soon find out. Two more photos below!